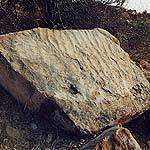 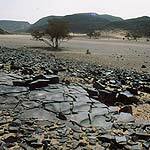 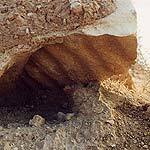 Ripple marks are fossilized traces of the way water has shaped the bottom of shallow lacks or wide rivers. 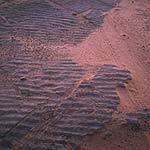 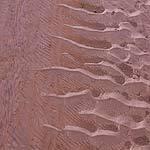 Big stretches of ripple marks (100 m2 or more) can be found in excellent condition in south Jordan. 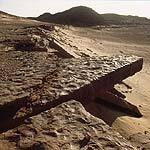 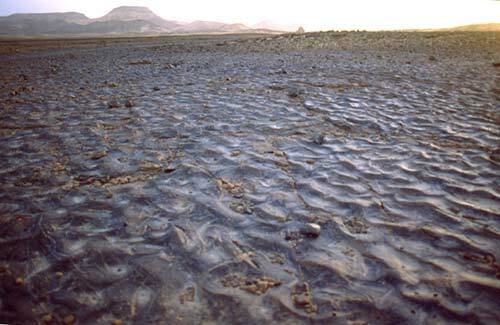 These ripples of the Mudawwara Formation in southern Jordan are from the Ordovician period (500 - 440 Million years).